The USIP day is the splashiest both because it attracts the best known outside speakers and because USIP’s building makes it easier to hold a few large sessions than multiple smaller, discussion-oriented ones. This year is no exception. The first major event of the day will be keynote addresses by retired Marine General Anthony Zinni and Thomas Staal, Counselor at the United States Agency for International Development. Staal has spend a long and distinguished career at USAID and will be talking about its role during the time of political transition in American foreign policy. 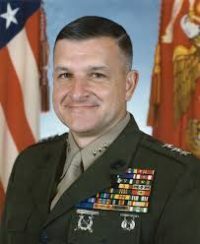 Most of us are excited by Zinni’s presence since he was both the general in charge of the Central Command and a frequent critic of American policies in Iraq and Afghanistan. Most of the rest of the day will be spent in smaller break out groups that deal with such questions as funding for the field, our relationship with the corporate world (especially the technology sectors), and new projects on sustaining peace. Again, because there will be several hundred people in attendance and because USIP does not have many small rooms, we will spend most of the day listening. The next two days are devoted to the ongoing work of AfP members and other colleagues in the field. And, because FHI360 has lots of small rooms, most of the time will be spent in small group working discussions. That said, we will start with two plenary talks. The first is by our board member and retired ambassador, Rick Barton, who will talk about his book, Peace Works, and Donna Hicks of Harvard’s Kennedy School, who will discuss her work on dignity. 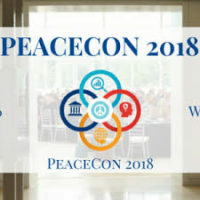 The rest of Thursday and Friday will be devoted to those smaller groups most of which will focus on peacebuilding around the world. I’m personally most interested in a session that will be chaired by my friend Doug Irvin-Erickson on polarization in the United States. A number of sessions will deal with questions that we at AfP have been working on, including the role of neuroscience, religion, and evaluation in our work. More importantly, many of our members will be giving presentations on their efforts. My role at the conference is always limited, but all three days will be hectic. I am co-hosting an invitation only dinner with my friends at Rowman and Littlefield as part of the soft launch of an initiative we are doing together to expand the impact of peacebuilding and conflict resolution. For once, I have no other formal role. Still, I will spend the time seeing old friends, introducing people to each other, and taking notes so that I can write what I learned up in my blog post next week. And, I will learn a lot, because something always happens to surprise me at PeaceCon…..